One of the first things I noticed about this music was the absence of that “ECM sound” that many of us have come to know. Maybe it has something to do with the fact that it was recorded in Minnesota instead of Norway. Replacing the typically spacious, “empty hall” sound is a more intimate, textured one. Good thing, for amidst all the twanging, tablas, and tapping there exists a genuine sense of artistry here, one better suited to warmer environs: cosmic guitar meanderings vaguely reminiscent of John Fahey (folk-combining-New Age sensibilities) and sonics approaching Ralph Towner and Bill Connors; even a redone “rocker” (with tablas on both versions) from Led Zeppelin’s Jimmy Page. 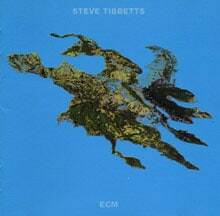 Less dramatic than the ’88 reissue, Yr, Tibbetts takes a more soothing, delicate route on Big Map Idea. This isn’t trendy fusion music, slapping together worldly instruments in an attempt to sound cultured or “contemporary.” Rather, the tunes–all but one either written or co-written by Tibbetts–weave a seemingly seamless tapestry from beginning to end, providing various settings for his almost classical-sounding guitars, etc. This set lacks the fierce wailing of a more robust Tibbetts. In its place, we hear original sounds produced from the elements of World Music, intelligent sounds that caress the ear and stir the imagination. This is dream music. But don’t let that lull you into a false sense of repose; the distinctions from track to track may be subtle, but well worth your concentrated effort. Selective use of percussion–with tasteful, longtime collaborator Marc Anderson providing most of the punch–gives this music bite and some delightful punctuations. Electronics play a limited role here. As Tibbetts states, “Sounds in general are my biggest influence”; so the electronically reproduced sounds of, for example, the actual singing of children in “3 Letters” play a part in the overall cinematic soundscape we hear–not the muddied synthesizer filler found on lesser albums with similar designs. The melodic, harmonic, and rhythmic constructions don’t appear to be too adventurous. But when all the parts are assembled, the strengths of this music lie not in any attempts to be assertive or “in your face”; rather, Tibbett’s tasteful, economical, and intelligent orchestration, the internal logic and consistency, and the album’s ability to draw attention to itself through the deft means of subtlety and the telling of a story, perhaps one’s own story–these are the qualities that give it muscle and staying power. Engaging, this music affirms even as it delights.